This ball not only looks flashy, but is also one of the best – plus it's available now for all players, unlocking at Level 0! These MAX Platinum Vapor balls are a great choice for overall game improvement, giving you more distance, control and a matching platinum vapor trail that makes your shots easier to track through the air. 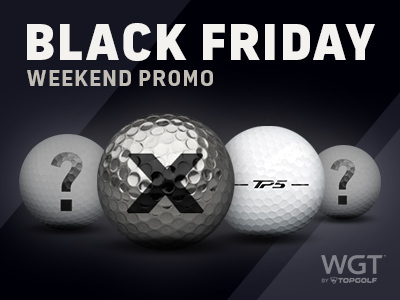 *Offer valid on one 2,000 or more WGT Credit purchase only on Sat, 11/24/18 through 11:59 PM Pacific Time, get 3 free MAX Platinum Vapor Balls (L0+). NOTE: Each day's offer runs from midnight to 11:59 PM Pacific Time and offers will change daily, so be sure to check in accordingly. Check back tomorrow to see our next special, just for you!